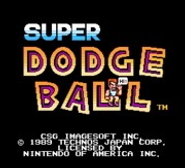 Just over 20 years ago, Nintendo released Super Dodge Ball for the NES system. Not only have gaming consoles evolved since those 8-bit times, but so too have the passions of gamers. There are entire online communities devoted just to outdated tech like the NES, something Nintendo has acknowledged by packaging classic games, and putting titles like Super Dodge Ball up on its virtual Wii store for inexpensive downloadable fun. There are, as of this writing, not one but four Super Dodge Ball remixes up at Overclocked, including a second, earlier “Theme of Team China” revision (see ocremix.org). More at on Avaris’s mix at ocremix.org. If you’ve ever experienced the phenomenon when a distant siren takes on an enjoyably melodic quality, then “Russando” (2008) by Hallgrimur VilhjÃ¡lmsson is a must listen. When the sonic aggression of such sirens is diminished by space — that is, when civil-service sounds are rendered civil — what’s revealed is a taut melodic cycle, an inherently minimalist patterning that is immediately comparable to the compositional stuff of Philip Glass and Steve Reich. Those composers’s works echo in “Russando,” which VilhjÃ¡lmsson (who is from Iceland) describes as a “Serenade for six German Sirens” (MP3). It helps, of course, that the sirens have that toy-like quality that European sirens often do, at least to an American ear, but even tone aside, VilhjÃ¡lmsson’s playful settings and use of stereo to exaggerate contrasts is highly pleasurable. More information at ubu.com, where the audio is housed. 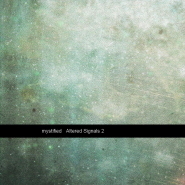 About a year ago, Thomas Park, who records as Mystified, released a five-track collection of atmospheric synthesis, titled Altered Signals, all of it sourced reportedly from broadcast sound, and then transformed by Park’s musical alchemy. The music was meditative and rich; seemingly quiet, but when played loud it revealed serious depth. Now Park has updated the collection, adding beats to each of the five tracks, which makes for an entirely new listening experience, and for a study in contrasts. For example, the slowly roiling “Science of Change” now has a pixel-perfect beat running through it (remix: MP3), and the white noise of “Bell Cloud” has this static-electric techno added in (remix: MP3), which lends tension and form. Read about the initial release at disquiet.com. More on Park/Mystified at mystifiedmusic.com. The shskh.com netlabel was founded a few years back by Jody Pou and Igor Ballereau, Manhattan-based musicians. Their latest is a compact anthology of experimental music that takes classical instrumentation as its starting point. For fans of electronic music, the best entry point may be “January 21, 2009,” by Kenneth Kirschner, who treats flute electronically (originally performed by Erin Lesser) until it becomes his own characteristic spectral glare (MP3). And Joe Bergen provides the timpani for Aaron Siegel‘s “Our Reluctance Is Overstated” (MP3), a work of subliminal passion, all muted tribal beats. The interface at shskh.com is absolutely beautiful, by the way. There’s a playful table of contents for the releases (this is the label’s fourth thus far), and the in-browser audio player shows waveforms of the current track. (There’s even a full-screen view.) It’s unfortunate, though, that for all the website’s stylish presentation, you can’t find all the information about a single release on a single page, and must tab through. As of today, this site will automatically post on Sunday afternoon the posts I’ve made during the past week at twitter.com/disquiet. It won’t do all of them — not personal “direct” Twitter posts, nor (at least for the time being) posts that are intended as public direct replies to (or public direct posts aimed at) individuals (those would be the ones that open with an @ sign). And for an ongoing attempt to collate ambient/electronica-related (and sound-art) Twitter accounts check out this post: disquiet.com. PS: The Trevor Horn entry above has since been learned to not be by Trevor Horn himself, but by a parodist.